Torino Fashion Week (TFW) is quickly approaching from June 29 to July 3, 2017 in Torino, Italy. Yet opportunities for modest designers continue to grow! Yamna Aghrib, Brand Ambassador to LVMH, the world leader in luxury brands, has confirmed they will be attending the TFW modest fashion category of the fashion week’s shows, produced by IFDC, with a special jury. She is in partnership with the exclusive fashion event Sommet International de la Mode (SIM), which is produced each year by top fashion experts under the management of founder, Djamila Kerdoun. Yamna Aghrib, and other names to be announced on the special jury, are delegated with attending all the IFDC designer runway shows to scout the best modest fashion designers showcasing at TFW. “It’s always exciting to discover talented designers but with the boom in the global modest fashion space, we are particularly excited about exploring the modest wear talent at TFW”, said Yamna Aghrib. IFDC designers will be presenting on the main catwalk from July 1st to July 3rd, where on the last day IFDC will close the TFW runway shows with their closing modest fashion designer selection. Immediately following this last runway show program on July 3rd, a closing ceremony is to take place where the exciting awards will be announced. Ms. Kerdoun will award the top 4 IFDC designers, selected by the jury, who will receive the LUXURY AWARDS. The first place LUXURY AWARD recipient will be invited to showcase their collection in Paris, exclusively at Sommet International de la Mode. This exclusive event is designed to bring brands to a new level in the fashion world. The first place recipient will also be granted a VIP invitation to take meetings at select luxury companies in Paris where they will be asked to present and explore opportunities along with a photo shoot, media campaign, and more! The 2nd, 3rd, and 4th place winners are also set to receive tremendous exposure to leading fashion brands, as well as highly curated prizes from various luxury brands. Sommet International de la Mode collaborates with different global partners to support talented fashion designers from around the world, “and tapping into the special skill and talent that we are about to witness in modest fashion at TFW will give us immense pleasure. 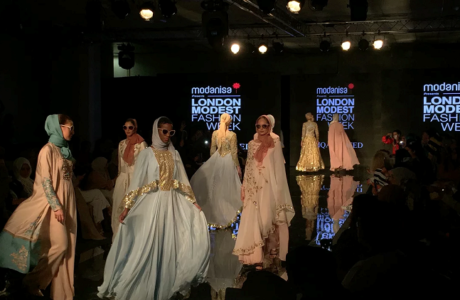 It’s nice to see this historic moment where for the first time a mainstream fashion week is officially recognizing a modest fashion category through IFDC’s great global work in this space. We are looking forward to meeting the IFDC designers and exploring more possibilities with them“, said Kerdoun. When asked about this collaboration, IFDC Chairwoman, Alia Khan said, “We’ve always tried to create more viable opportunities for everyone in the fashion and design space so that we can bring true opportunities to designers and our partners. 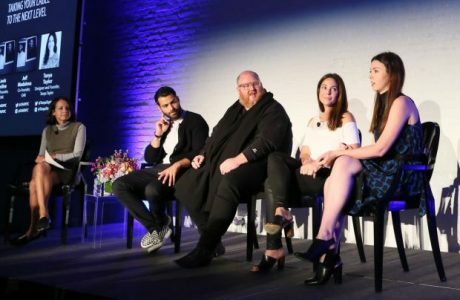 There’s a need for the leaders of the fashion industry to consider new ways to open doors for designers otherwise fashion events can often be a futile exercise. I believe we are tapping into great potential at TFW and this is just the beginning”. Since Claudio Azzolini, founder of TFW and President Association TMODA had always felt that “this event is a terrific opportunity for modest designers to showcase their talent and skill to the world”, he is particularly pleased with TFW’s partnership with IFDC. “We believe in our partnership with IFDC. Uniting on all fronts is the key to bigger success and I see that IFDC particularly uses their effective role in the fashion industry to bring benefit to all. We look forward to this ongoing partnership”.